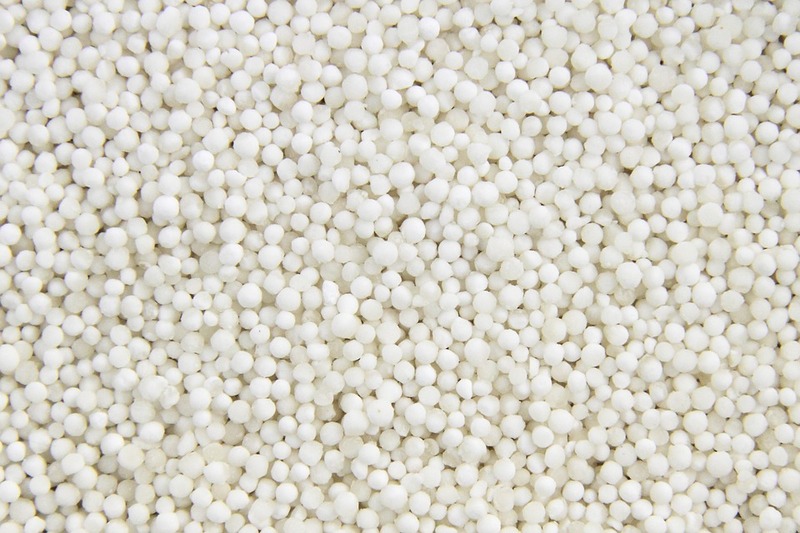 Sago, is processed from the Tapioca root known as Casava. 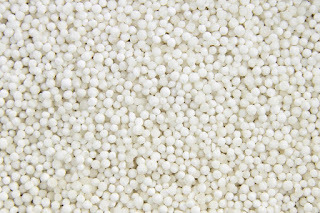 Sago rich in carbohydrates contains the starch extracted from tapioca resembling as small white pearls. 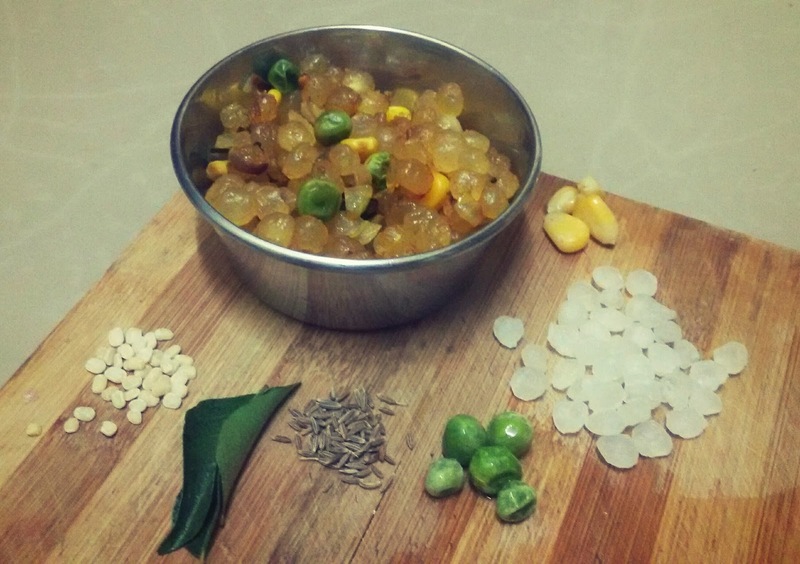 Sago in India are referred with different names : Sabudana in Hindi ; Javvarisi in Tamil ; Saggubiyyam in Telugu. Many varieties of dishes are prepared from Sago in India like Sabudana Kheer (Sweetened Pudding), Khichdi, Vada etc (Preparation with veggies and condiments). Sago, rich in carbohydrates and low in fat when combined together with vitamins + minerals from the vegetables and proteins from the condiments enrich the nutritional value. Thus, mostly during the days of fast in India, people prefer this dish. ▪ Soak 1 cup of Sago for an hour in water after rinsing out the excess starch from it. ▪ Heat the soaked Sago with some water in a sauce pan covering it with a lid. ▪ On the other hand, heat the milk in a container without fully boiling it for few minutes. ▪ Add the heated milk onto the saucepan with Sago and stir it occasionally. ▪ Add sugar/jaggery (jaggery contains iron which is good for health), cardomom/elaichi powder. Stir occasionally for 25 to 30 minutes till the sago turns out soft with shining pearls. ▪ Garnish it with tiny bits of cashews, raisins and saffron strands or with fruits like mango, grapes, apples etc and serve it warm or cold. 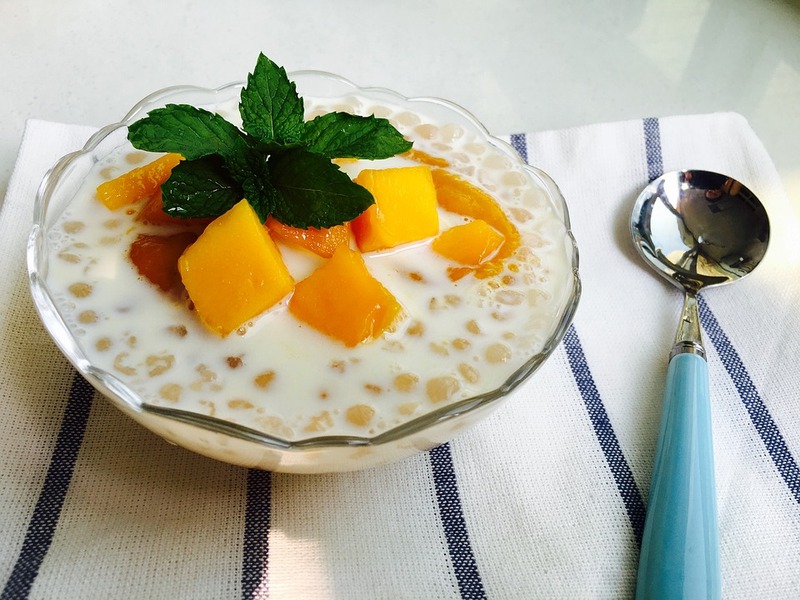 A yummy and healthy sweet pudding is ready to eat loved by all! As we know, with Sago one could prepare many healthy recipes, herewith let us prepare a healthy and quick snack relished by all. A mouthwatering Indian dish with spices prepared with Tapioca pearls/Sago. ¤ Soak 2 cups of Sago/Sabudana (for 2 to 3 people) for 3 - 4 hours in water after rinsing off the excess starch from it. ¤ Take a pan, add 1 tablespoon of oil along with a teaspoon of Cumin (jeera), Split black gram (Urad dal), Curry leaves. ¤ Add Vegetables like potato, green peas, sweet corn (loved by kids) to the pan and fry them well. During the days of fast, people use these vegetables other than onion and garlic, but as a snack on any other day adding them together would give a wonderful flavour. ¤ Take the Sago in a separate plate and add a pinch of turmeric and salt, hing/asafoetida, red chilli powder and mix them well according to the taste preferred by kids too. ¤ Add the sago to the pan with vegetables and stir them well till the sago turns soft and fluffy. ¤ Garnish with coriander leaves and fried peanuts to render the mesmerizing taste and flavour. Tip: Add all the spices to the sago and mix them well together to enhance the essential taste and delight. A very simple and quick dish to munch, healthy delicacy filled with nutritions, this Sago khichdi is not only a yummy choice by kids but is a delicious Snack for all! These delightful delicacies enhance with productive health, serene feasibility and feast for all! Try and relish! !